In upcoming weeks Windows Azure Web Sites will update the default PHP version from PHP 5.3 to PHP 5.4. PHP 5.3 will continue to be available as a non-default option. Customers who have not explicitly selected a PHP version for their site and wish the site to continue to run using PHP 5.3 can select this version at any time from the Windows Azure Management Portal, Windows Azure Cross Platform Command Line Tools, or Windows Azure PowerShell Cmdlets. The Windows Azure Web Sites team will also start onboarding PHP 5.5 as an option in the near future. If you wish to continue to run PHP 5.3 in your Windows Azure Web Site, follow one of the options below to explicitly set the PHP runtime of your site. After logging into the Windows Azure Management Portal, click on the Web Sites navigation item from the left hand menu. Select the Web Site you wish to set the PHP Version for, then Click the arrow to navigate to the details screen. 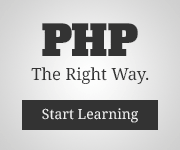 Ensure the value selected beside the PHP Version label is 5.3. Click on the Save button in the command bar at the bottom of the portal. Run the following command from your terminal of choice, be sure that the Windows Azure Cross-Platform CLI Tools are installed and the appropriate subscription is selected. Run the following command from a PowerShell console, be sure that the Windows Azure PowerShell Cmdlets are installed and the appropriate subscription is selected. Zend®Guard enables you to encode and obfuscate your code to help protect against reverse engineering. It’s understandable that someone would want to help protect their hard work by encoding it, but in order to execute this encoded source on a server it is necessary to enable an extension to decode the source prior to execution. In order to enable ZendGuard in Windows Azure Web Sites you will need to acquire ZendLoader.dll from the ZendGuard Download page. The remaining steps we will configure php which is built into the Windows Azure Web Sites environment. Now that we have the ZendLoader assembly let’s make sure that it’s loaded into the extensions list in the default php.ini file. We can do this by selecting the configure tab in your Web Site and adding an App Setting. There are a number of reserved App Settings in Windows Azure Web Sites to configure a number of different parts of the default runtime experience, in this particular case we’re going to use PHP_ZendExtensions to load ZendLoader.dll into the default PHP Runtime Zend Extension list. Ensure you download the proper ZendLoader.dll for your PHP Version. As you can see in the image below, the an app setting is created with the key PHP_ZendExtensions and the value bin\ZendLoader.dll, which is a semi-colon delimited list of relative paths in this case the ZendLoader.dll will need to be placed in a bin directory off the root of the Web Site. You can upload the DLL file via FTP, or download it directly to the bin directory in your Windows Azure Web Site by using KuduExec, which I’ll use to download the .user.ini file later in this article. With the assembly in the PHP pipeline, we still need to do some custom configuration to the php.ini via the .user.ini file. I have created a .user.ini which captures all of the configuration settings available to ZendGuard as well as a command to turn off WinCache file caching which is required in order for ZendGuard to operate. To demonstrate another feature of Windows Azure Web Sites, let’s use KuduExec to download the .user.ini file into our Windows Azure Web Site using curl. First things first, in order to use KuduExec you need to have it available on your local machine. KuduExec is written in Node.js which you will need installed and configured on your machine. To download KuduExec, use the following command to install it globally on your system. Depending on your ZendGuard configuration, you may need to change some of the zend_loader settings. Exit KuduExec by typing exit. By default, PHP is configured to refresh it’s settings from the php.ini file every 300 seconds (5 minutes), you can force this to refresh immediately by doing a Web Site reset. In this example, I demonstrated how to configure ZendGuard with the built in PHP runtime in Windows Azure Web Sites. This will allow you to run your ZendGuard Encoded and Obfuscated code in a highly scalable hosting environment. It is also possible to set up ZendGuard using the Bring Your Own Runtime functionality, which I will explain in a future blog post upon request in the comments below. PHP 5.5.0 for Windows Released! Today is an exciting day as we welcome the availability of PHP 5.5.0 [Release Announcement]. The team here at Microsoft has been busy preparing PHP 5.5.0 for Windows which has a number of updates which I will cover in this post. With the release of PHP 5.5.0, the PHP Community has also announced that PHP 5.3 will go into “Security Only” maintenance, which will last for a period of 1 Year, at which time PHP 5.3 will enter End of Life (EOL). As anyone who develops PHP code knows, an opcode is important to speed up the execution of the script. This is done by caching compiled interpreted PHP code, so that the compiler doesn’t need to be used on each request. If a compiled version of the requested script is cached, the compiler is bypassed and sent directly to the executor. The Opcache extension was contributed by Zend, and is based on their Optimizer+ extension. Good news for those running PHP on Windows is that Opcache is supported on Windows and performs quite well over the current version of WinCache. You can see some performance numbers below with the new Opcache support in PHP 5.5.0. Zend contributed Opcache under the PHP LICENSE and the source code is available on GitHub. Over the past several years, Microsoft has been heavily investing in PHP on Windows working towards better support for PHP in IIS. In recent years, additional work to ensure that PHP not only work on Windows Azure, but to ensure that PHP is a first class citizen on the platform. Microsoft has two contributors to the PHP project who are within the top 10 committers within the last 12 months. Pierre Joye, one of the two contributors mentioned above, has the most all time contributions to the project with over 6000 commits according to Ohloh.net. There is a great deal of collaboration between the PHP community and the Microsoft Open Source Technology Center (OSTC) (which is responsible for Q&A and PHP builds for Windows) in order to ensuring extensions are updated amongst other works. There have been some major improvements surrounding performance of PHP on Windows. The improvements include moving to the VC11 compiler as well as the new Opcache extension explained above. There have been a number of improvements which have come out of moving the PHP source and dependencies to be compiled under the latest VC11 compiler. Taking advantage of Profile Guided Optimizations (PGOs) which is a runtime compilation optimization which leverages profile data collected by running performance centric usage scenarios to build an optimized version of an application. You can read more information regarding PGO from the C++ Compiler team blog, I would suggest Profile Guided Optimization: Under the hood and Build faster and high performing native applications using PGO. To better understand how the PHP binaries took advantage of PGO, read Speed up Windows PHP Performance using Profile Guided Optimization (PGO). As you can see, there is a range of 7-15% increase in performance over PHP 5.4 with no caching enabled in IIS against some of the industry leading CMS applications. Opcache significantly increases performance over PHP 5.4 with WinCache, anywhere between 25-152% increase in performance on IIS against the same applications. If you are leveraging Apache 2.4 on Windows, you may see an 8-19% increase in performance over PHP 5.4 with no caching enabled. When testing with Opcache enabled over PHP 5.4 with APC caching in Apache, you may see performance gains of between 12-119% on Apache 2.4. It’s exciting to see the PHP language continue to grow and evolve as well as the collaboration between the PHP community and Microsoft to continue to advance the support of PHP on Windows and Windows Azure.